I trained a a graphic designer working for various publishers and agencies in Portland Oregon, Los Angeles and London before permanently moving to Suffolk. Light and a sense of narrative in landscapes are reflected in my work. 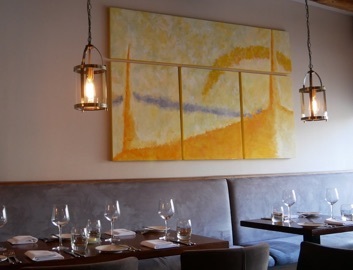 Several of my paintings are on permanent display at 1921 Angel Hill Restaurant Bury St Edmunds. Copyright © Marnie Deakins. All rights reserved.